You've almost made it to the end of the school year, which means that your graduation and/or prom are just around the corner. This is an amazing opportunity for you to make a lasing impression and stand out with style. 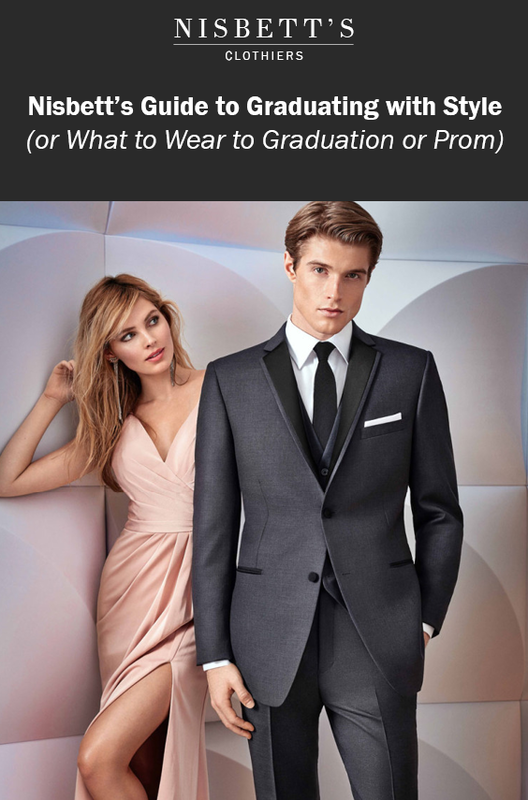 In the guide that follows, we are going to walk you through what to wear to your graduation or prom — with recommendations for everything from your suit to your shoes and accessories. Graduation is one of the most important days of your life. All of the days leading up to this point might be a blur, but this day will stand out in your mind forever. It represents the transition between one chapter of your life ending and another, more exciting chapter, about to begin. Graduation and prom are considered formal events, and there is a certain dress code that comes along with that. While all of the ladies in the class of 2018 will be rocking their dresses of choice, you and your fellow men will be representing your best selves in suits and other formal wear. While darker suits tend to be the most popular for graduation and prom, there's no reason why you can't mix things up a little with a lighter coloured suit or more colourful accessories. Here at Nisbett's we have a special graduation promo for tuxedo and suit rentals starting at just $69.99. We offer a wide range of modern styles, including slim-fit, navy, black, and grey. Here are some of our most popular styles. Come by the store to view more than 30 different styles. If you'd like to wear a vest with your suit, we also offer dozens of colour variations. You can't go wrong by wearing a classic white shirt under your suit. However, feel free to wear other colours depending on your style preferences and what fits best with your chosen suit. If you aren't sure what colour to go with, don't be afraid to ask in store — we're here to help! Blue, grey or lightly patterned shirts can also be quite fashionable and a nice way to switch it up from the standard white. With a darker coloured suit, a brighter coloured shirt can also pop. Once you've chosen your suit. It's time to decide on your accessories. This is where you can really make your look represent the best version of you. 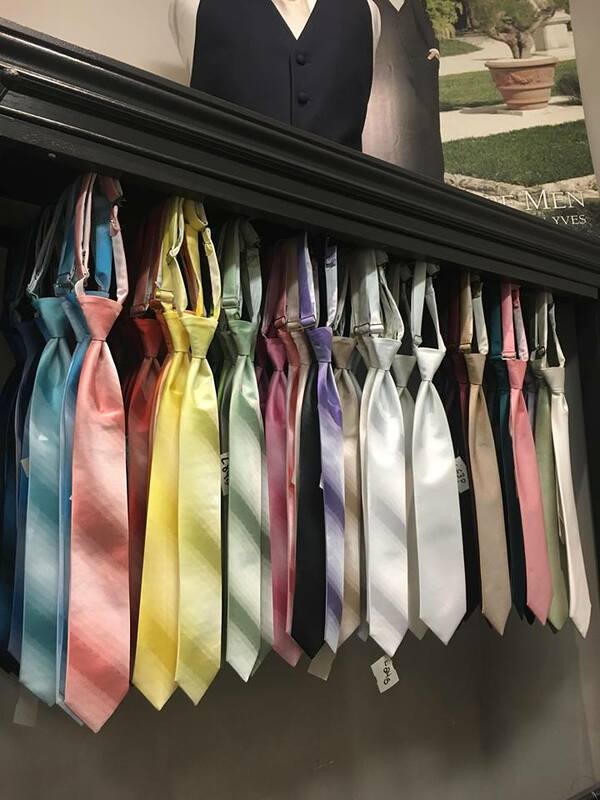 Do you want a traditional tie or bowtie? Do you want to wear suspenders or are you sticking with a belt? What colour shoe do you want to wear? Black is most popular, but brown is also great! Do you want to stick with a traditional formal sock or one with lots of personality? Will you be wearing a boutonniere or showing off a nice watch or sunglasses? Some of our in-store accessories. When it comes to choosing your highlight colours, you have a couple options. When it comes to prom, you might want to compliment your date's colours. However, at grad, we think this is your time to shine. If you have a favourite colour, why not start there? Another option is to pick a colour based on how you want to feel, using the principles of colour psychology. Black represents sleek, expensive, luxury, and authority. Grey is practical, timeless and neutral - it never goes out of style. Blue traditionally stands for trust, strength, and dependability. Red invokes bold feelings of power, passion, and excitement. No matter what suit and accessories you end up choosing, we wish you all the best. We'd also love to see your suits in action - be sure to tag us on your social media, or by using #NisbettsFashion for a chance to be featured on our Facebook and Instagram.